How do we arrive at a pool shape and design? Our design team guides the clients through this process. Of course it all starts with how the owners want the yard to look upon completion (Do you prefer natural shapes? Geometric? Do you want an auto-cover?). 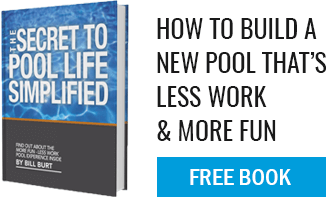 You will look at the pool significantly more than you will ever be “IN” the pool so it all starts there. Once we know what the goals are in terms of aesthetics, we design the pool around the clients’ desires, budget and how they want the pool to function.